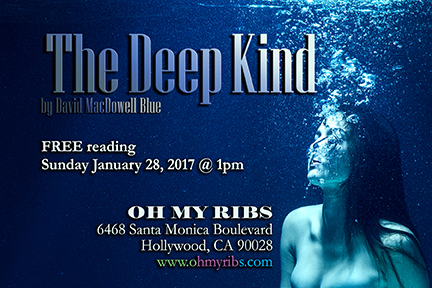 The reading of the play will take place Sunday, January 28 starting at 1pm and is free to attend. Feedback is the point here. I am asking folks to attend and tell me how it works, what they like and dislike, etc. It will take place at Oh My Ribs (next to the Complex) at 6468 Santa Monica Blvd, Hollywood CA 90028.